Often fertility trials are only open to those who are going through their first cycle of IVF treatment, but the E-Freeze trial is now also taking patients who are having their second or third treatment cycles. 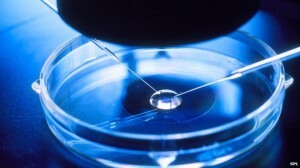 E-Freeze is investigating the theory that using frozen thawed embryos may lead to improved pregnancy rates. When frozen embryos are used, there is a delay in embryo transfer of at least a month, and the theory is that allowing the hormones used in ovarian stimulation to wear off and giving the womb time to return to its natural state may increase the chances of success. Without more research we cannot say if fresh or frozen thawed embryo transfer is better for the first cycle of fertility treatment. E-Freeze will compare these two types of embryo transfer in more than a thousand couples from IVF centres throughout the UK to find out which, if any, gives the best chance of having a healthy baby. If you are interested in taking part, you can find lots of information about the trial on the E-Freeze website and a list of all the participating centres.